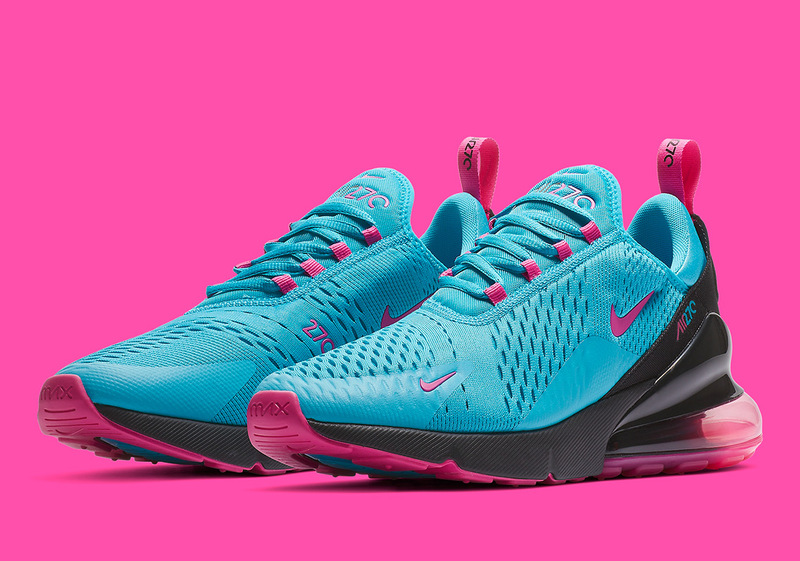 One of the most revered aesthetics featured heavily throughout Nike’s expansive archive is the tropical combination of blue and pink that has been frequently given a “South Beach” monicker. 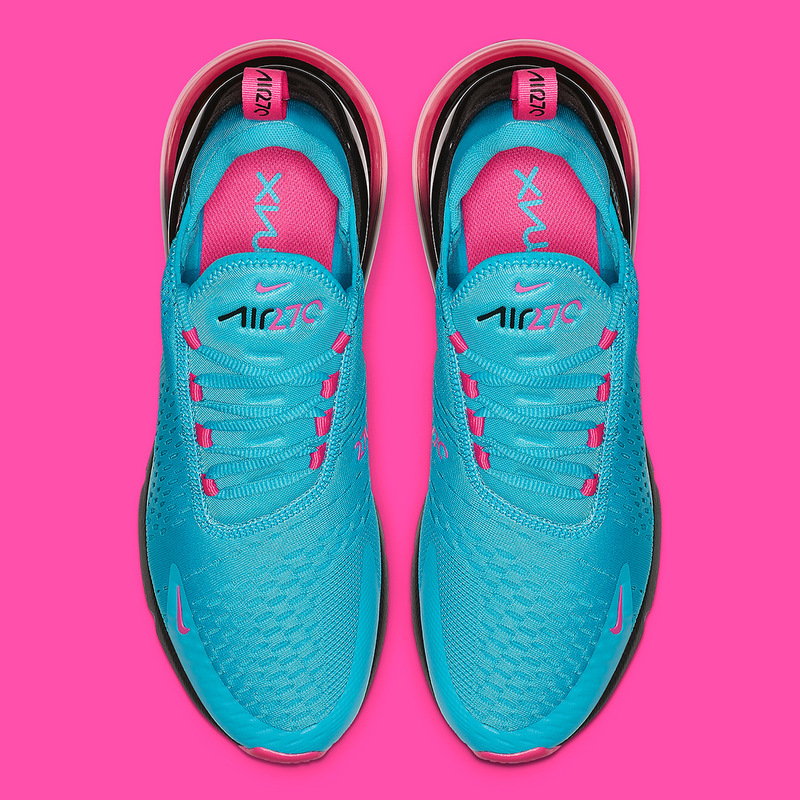 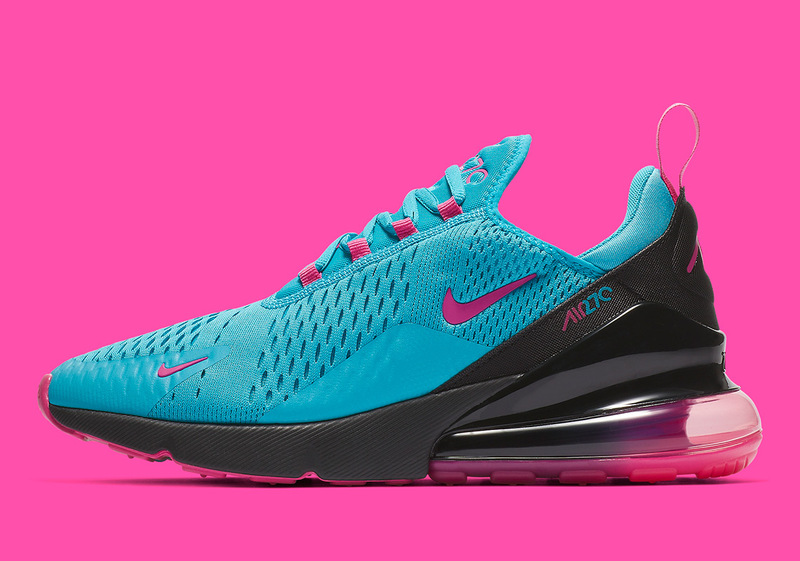 Set to be replicated once again, those two hues have returned on the Air Max 270 silhouette with blue responsible for the vast majority of its real estate and a striking pink coming into play on most of its branding. 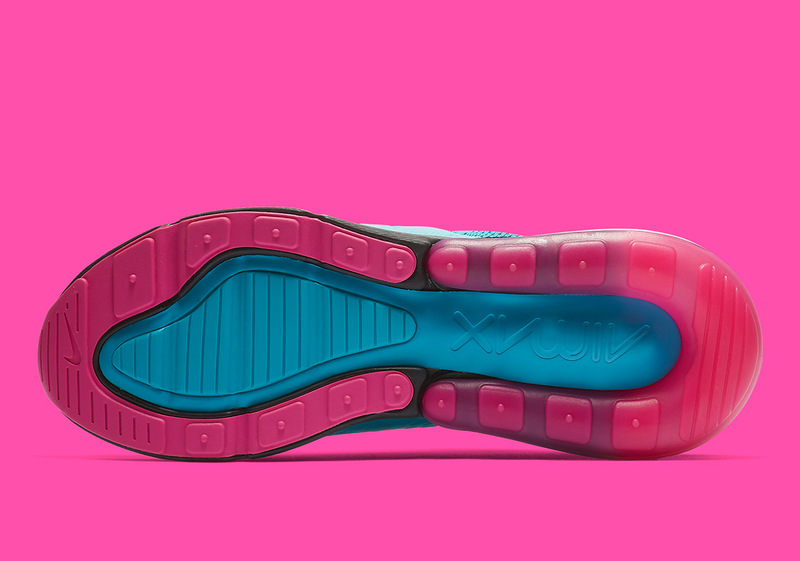 In order to offset the vibrant color combination just a bit, black is ushered in on its midsole and heel, keeping in tact its lifestyle-engineered heel unit. 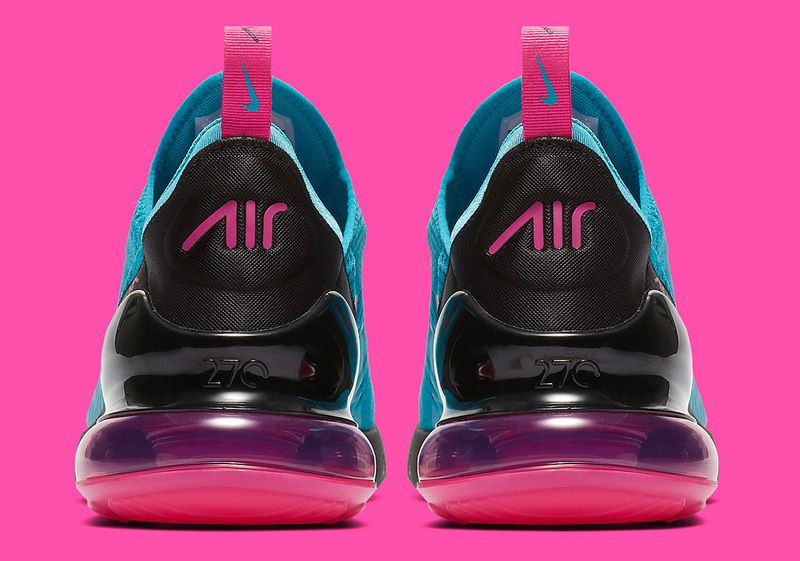 While the Air Max 720 is ready to make its debut in a “Northern Lights” design, it is clear that the Swoosh intends to keep things rolling strong with the influential 270. 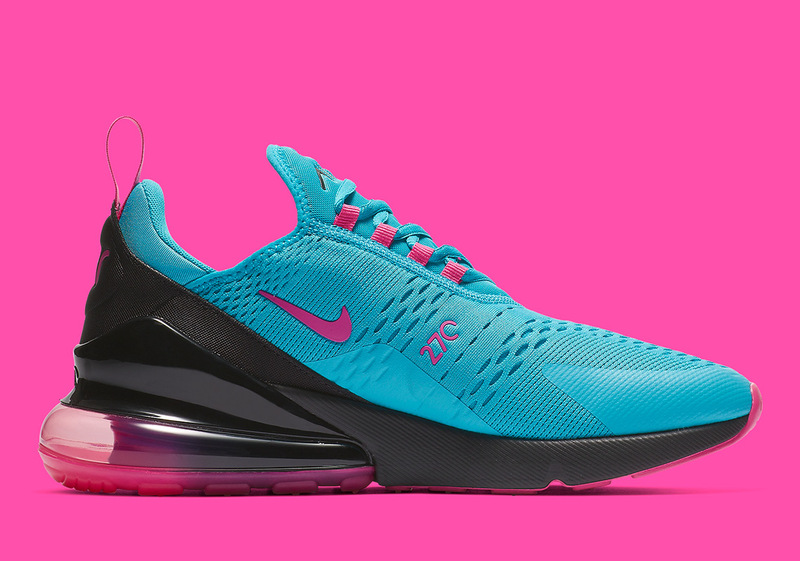 Enjoy a detailed look below and anticipate the arrival of these new 270s on Nike.com and other NSW houses next month.